It’s "Oh! My Madame’s" sticker debut! You will definitely like her energetic and charming characteristics. 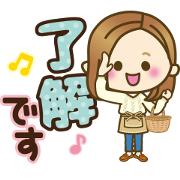 Have a nice day with "Oh! My Madame." Drama Wife is back in this animated sound sticker set! 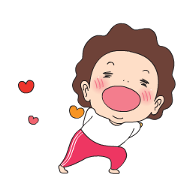 Popular creator beni orange teams up with LINE Shopping for a special collaboration featuring stickers for women everywhere. Friend LINE Shopping’s official account to get this set for free.